Hospital patients and their loved ones often have many questions about their medical care. They want to know about tests ordered and test results, the members of their treatment teams and what their medication and treatment plans entail. 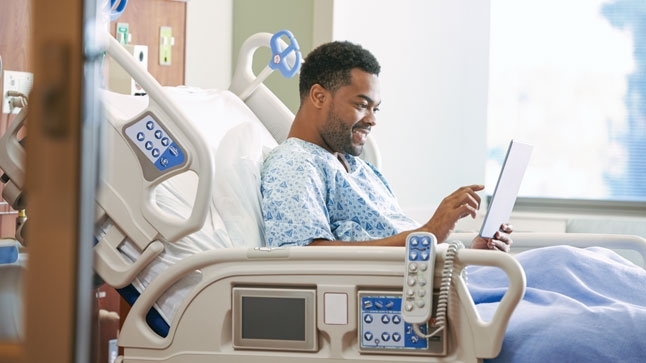 While they can always ask members of their care teams for clarification, a new tablet-based program called myUCLAhealth Bedside app places a lot of this information conveniently at patients’ fingertips. 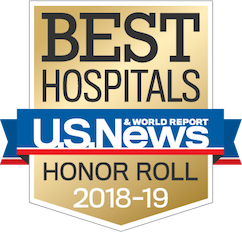 “The Bedside app provides our patients with real-time information about their hospitalization,” says Jim Hoffman, information technology adoptions manager, ISS, UCLA Health. “For instance, the app’s ‘Happening Soon’ feature allows patients to see when they will be receiving medications or undergoing tests or procedures, as well as what lab draws are scheduled throughout the day.” Patients can review schedules up to two weeks in advance. Julian Hilario, a clinical nurse at UCLA, believes the myUCLAhealth Bedside app benefits staff and patients in numerous ways, emphasizing the app’s educational components. “As a nurse, I know that recovery is most successful when patients are more involved with their medical care,” Hilario says. “With this app, patients can view condition-specific educational materials and post questions in the app.” Those questions are saved to the patient’s medical record and the staff is alerted to come address the patient’s questions and concerns. Another feature called “My Health” provides patients with their recent laboratory results and vital signs. “If a patient has had the same test done multiple times, Bedside creates a graph comparing all the results,” Hoffman explains. Other Bedside features include: “Taking Care of Me,” which includes names and photos of the patient’s clinical care team; “Messages” for communicating with the care team and making non-urgent requests (e.g., blanket request or social worker referral); and “To Learn,” which provides educational information and videos about a patient’s diagnosis, treatment plan and medications. 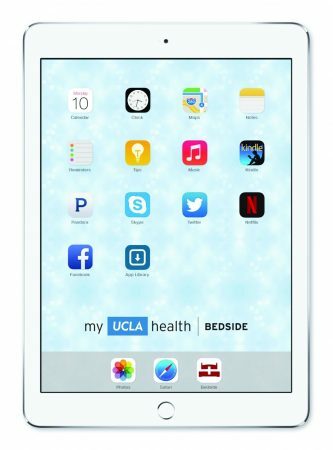 Currently, the myUCLAhealth Bedside app comes pre-installed on hospital-issued iPads at select pilot locations. Patients can also download the app on their personal tablets. “Patients are given a unique barcode at check-in linking them to their medical records and the Bedside app,” says Hoffman. Only patients and designated family members and caregivers have access to the patient’s personal healthcare information. Once discharged, patients can access their Bedside information via their myUCLAhealth account, UCLA’s electronic health-record system.